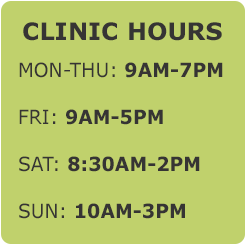 We welcome you to Clark-N-Oak Animal Health Center, where our goal is to deliver thorough and personalized care to our client’s pets. We have been serving the pets of Chicago’s downtown communities since 2007. Dr. Andres grew up in a rural community 60 miles west of Chicago. He had always wanted to become a veterinarian, and completed his degree in 2000. He graduated with a B.S. from Illinois State University and continued his education at Texas A&M University in Animal Nutrition. He then moved to a ranch in north central Wyoming (Ten Sleep) where he owned/managed a 300 cow/calf and a 2,200 ewe/lamb operation. He enjoyed the lifestyle but missed some of the mental stimulation afforded in a more urban environment. A good friend from high school worked for the First National Bank of Chicago, which was was looking for executive trainees with no banking experience. He was hired and began his banking career. Years later, after obtaining his degree in veterinary medicine and working at several clinics, Dr. Andres opened Clark-N-Oak Animal Health Center. He is a member of the CVMA, ISVMA, AVMA, AALAS, AAFP, and IUCAC at the Loyola University of Chicago Lakeshore Campus, which oversees the ethical treatment of animals in research and research protocols. He also teaches at the Animal Career Academy to introduce people to careers in animal care.